This sleek Kiddush cup will enhance your Kiddush ceremony and Shabbat table. 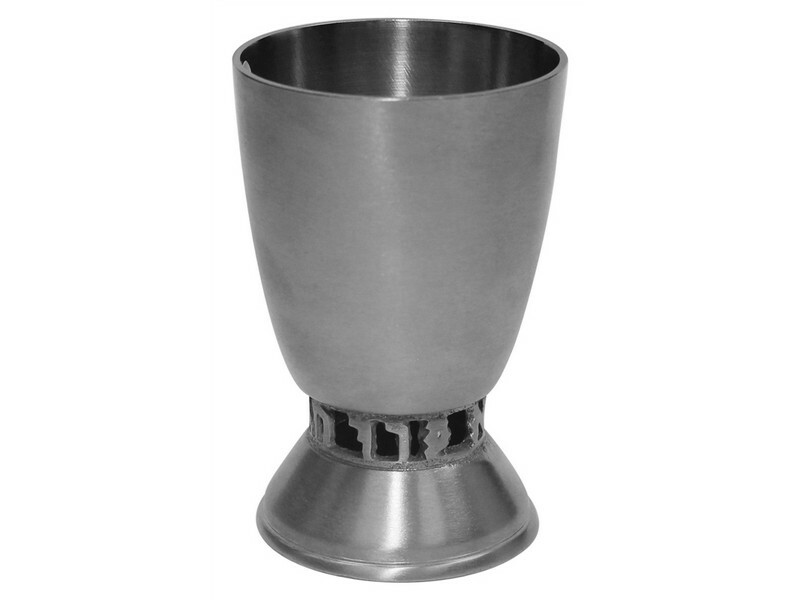 Made of pewter this Kiddush cup has a smooth and modern look with a swelling cup. At the base of the Kiddush cup the words “Borei Pri Hagafen” are carved in individual letters. As a contemporary Kiddush cup it will surely take center stage on your Shabbat and Yom Tov table.